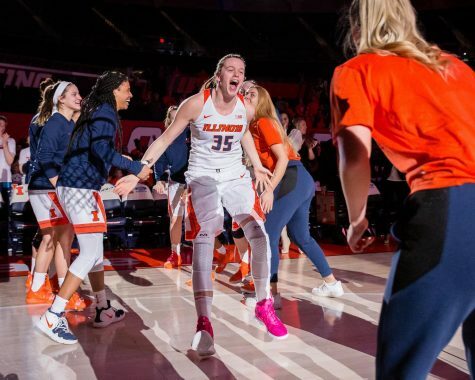 Who’s next for Illinois women’s basketball? LaKale Malone coaches on the sideline during an Illinois women's basketball game in February. 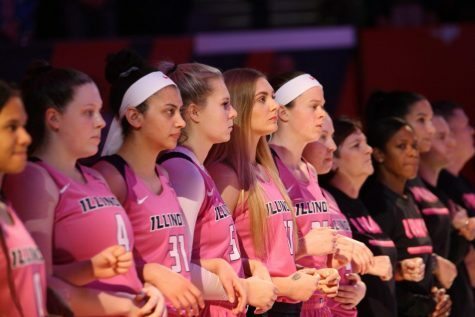 After firing Illinois women’s basketball head coach Matt Bollant on Tuesday, Illinois Director of Athletics Josh Whitman announced that the nationwide search for the next head coach will begin immediately. After making the NIT in its first season, Bollant’s team failed to impress over the following four years. This culminated after the 2015-16 season when his staff was accused of racial discrimination. The team went 2-16 in Big Ten play, and some of his best players transferred away in the hopes of finding more success. Bollant was cleared of any wrongdoing, but that did not stop his players from leaving. Bollant led a team this season that featured six freshman to a 9-22 record overall. 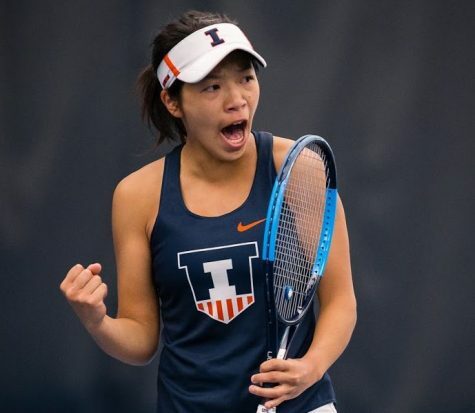 The Big Ten season got off to a promising 3-2 start, but it all fell apart for the Illini after winter break. The team lost 11-straight to close out the regular season. Although it beat Nebraska in the first round of the Big Ten tournament, the damage was already done. Bollant is the third coach Whitman has fired in just over a year. 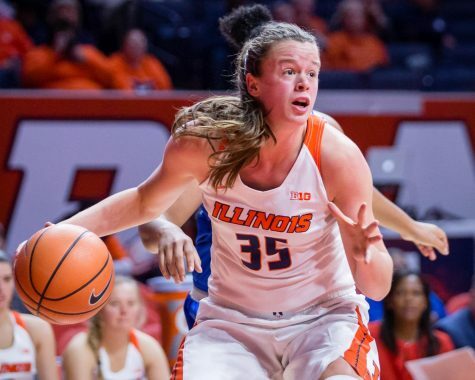 Here are five possible hires who could be the next face of the Illinois women’s basketball program. In his five years at Western Illinois, Gravina has breathed new life into the Leathernecks. With his high-powered offense, he has turned Western Illinois into a Summit league powerhouse. His team finished the season 26-6 overall with a 13-3 record in the Summit League. Western Illinois is a 14-seed in the NCAA tournament and faces 3-seed Florida State on Friday in the first round. Gravina could be exactly the kind of leader who Whitman is looking for. He was transformative for Western Illinois, and last season led them to its first postseason bid the program had seen in 10 years. And as an offensive mind, he could help an Illini offense that sputtered to the finish line this season, losing their last 11 regular season games. 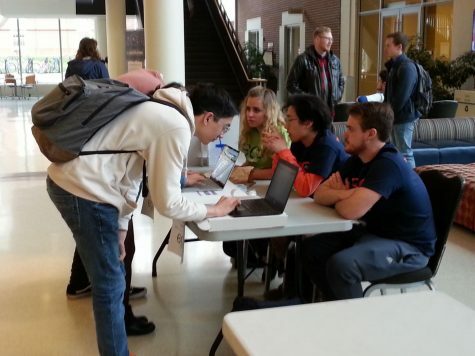 However, it remains to be seen whether or not Gravina would leave Macomb, Illinois to come to Champaign. While it would be an upgrade to his paycheck and his conference, Gravina is just starting to see his work come to fruition with the Leathernecks. Terrapins assistant coach Bett Shelby has a successful history of recruiting with seven different basketball programs dating back to 2006. 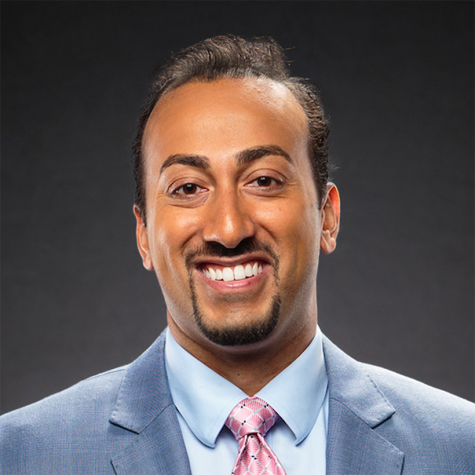 The North Carolina native has been an assistant coach with five different teams, including Southern Illinois, since 2008 and most recently in the Big Ten with Maryland. Shelby helped the team win the Big Ten in the 2015-16 season and recruit the No. 1 recruiting class in the country in 2016, a class that included Big Ten Freshman of the Year Destiny Slocum. While Shelby has not been at Maryland long, she has yet to stay at any program for more than two seasons. The biggest question with Shelby will be her lack of experience head coaching. While she has worked with many teams as an assistant coach, she has never had a head coaching role and has primarily been a recruiter, not a coach. Ohio State assistant head coach Patrick Klein has been with the 2017 regular season Big Ten champions for six years now and may be ready to make the jump into a head coaching role. 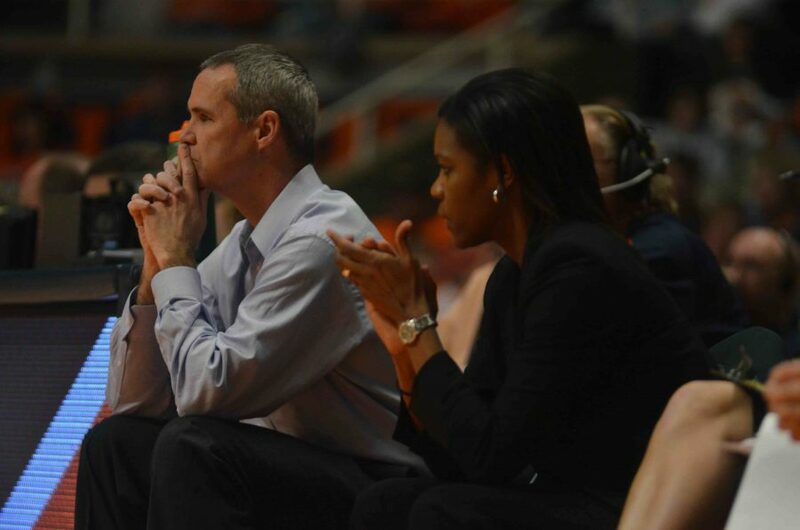 Klein is familiar with the Illinois program and its needs, serving as an assistant coach at Illinois from 2008-2010. While at Illinois, Klein helped recruit the No. 3 recruiting class in the country in 2008. As an assistant focused on post players, he also helped Illini legend Jenna Smith develop into one of the top players in program history. A homecoming could be on the horizon for Klein, but it might be difficult to pry him away from Columbus and all the success the Buckeyes are having. 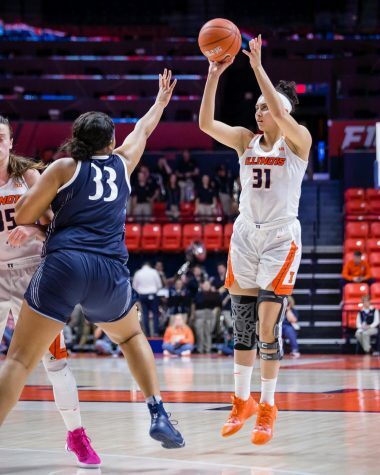 An assistant coach under Matt Bollant, Martinez came to the Illini to replace Mike Divilbiss, who left after the player mistreatment scandal. Martinez has 17 years of head coaching experience under his belt, with one successful year at Southeastern preceded by 16 at Bethel University. 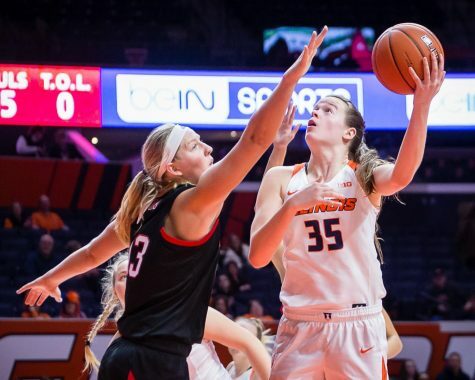 Martinez has worked primarily with Illinois’ post players in his two years in Champaign, and under his tutelage Chatrice White and Alex Wittinger have been arguably Illinois’ best two players. 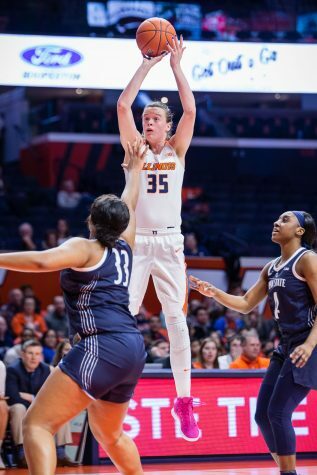 Martinez is a steady choice in that he has plenty of experience and knows the Illinois players, but Whitman has looked outside of the University for his two hires so far, and he may decide that he wants a breath of fresh air in the women’s basketball program. Malone has been an assistant for five years. 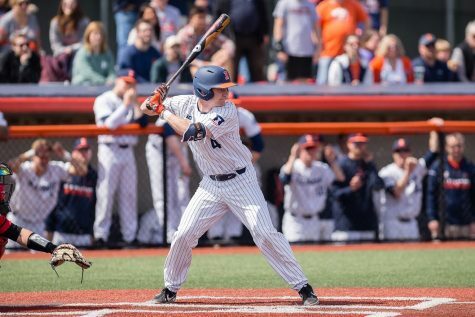 With Malone, the Illini have made the postseason once (in 2012-2013) but failed to regain that level of success since. 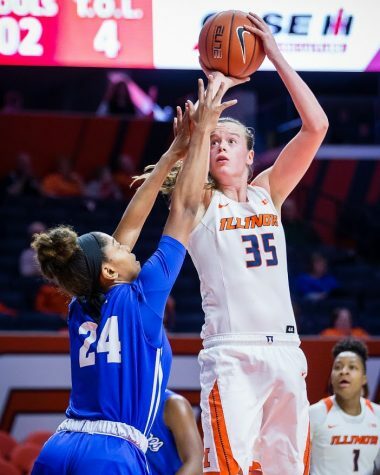 But, Malone has proven herself to be an effective recruiter and coach at Illinois, working to bring in and develop White, Cierra Rice and Brandi Beasley. 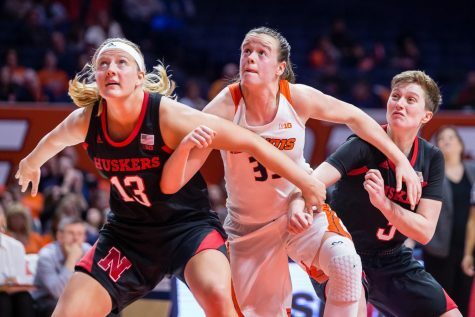 Prior to Illinois, she also helped recruit multiple top-25 classes for Texas and Nebraska. Malone also knows the Illini roster well, and with seven freshmen returning next season, that could be a major advantage. 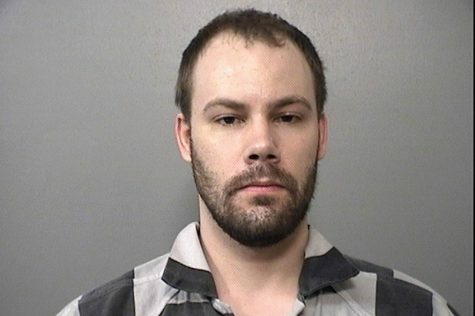 However, Whitman may want to put the program’s recent history to bed as soon as possible, and Malone was with the Illini during their player-abuse scandal. Whitman may be hesitant to keep much, if any, of the current staff on board.